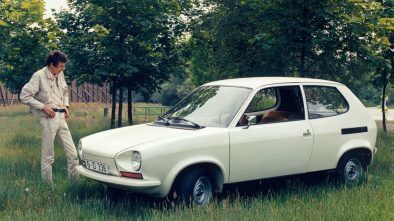 The very first ACOMA Mini Comtesse was presented in 1972. 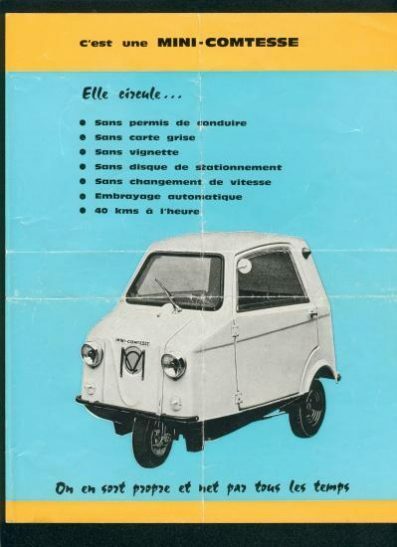 This rare photos give us the idea how the shape of the first ACOMA microcars looked like. 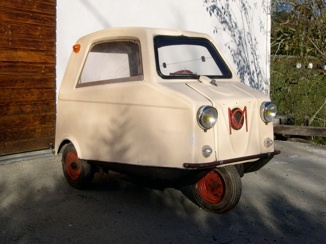 The main differences are: no stabilizer wheels in the front and the single (not slided) door in the right. 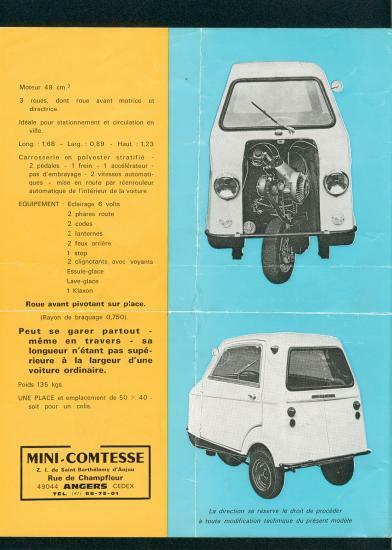 Early Mini Comtesse were equipped with a 48 cc engine. Overall dimensions – 1680x890x1230 mm. Curb weight – 135 kg. 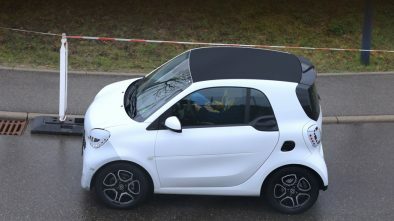 The most popular successor was shown next year.